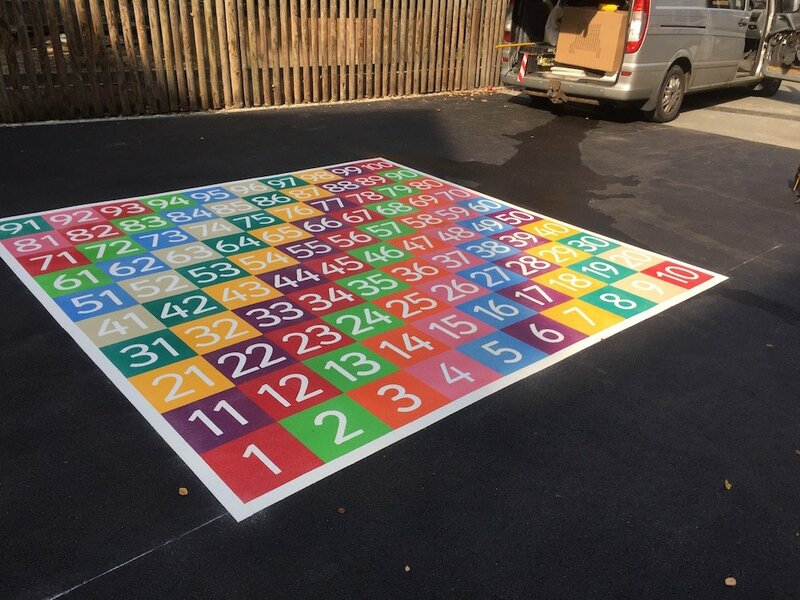 One of our most popular sports markings is the traditional football pitch. 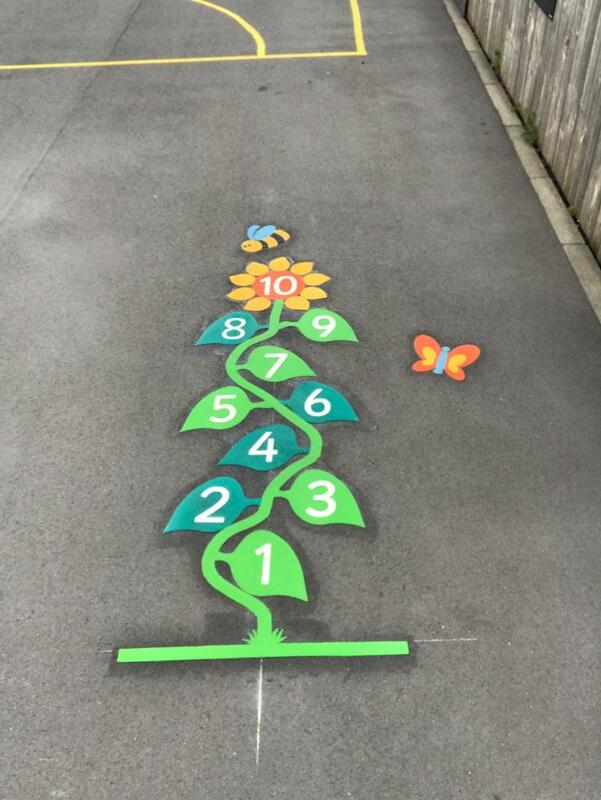 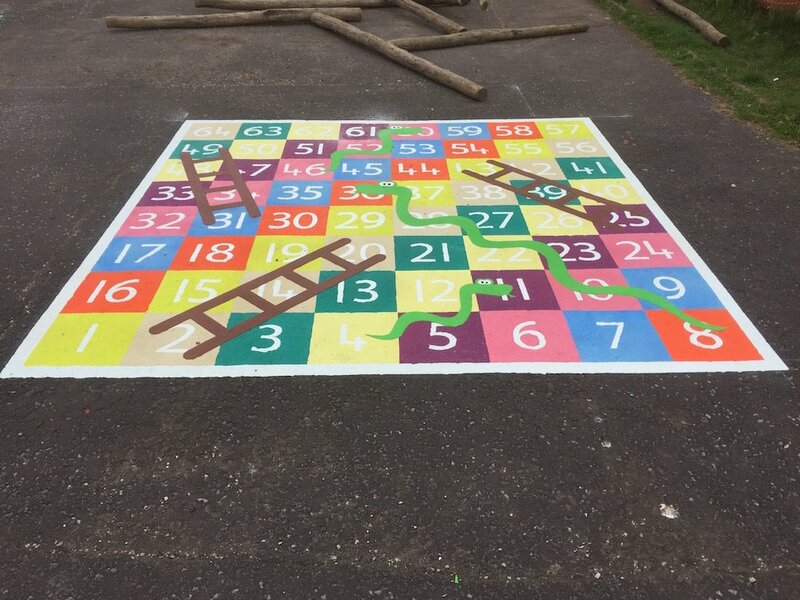 These can be designed to fit any school playground from a full size 30m x 15m down to a 8m x 4m for infants play areas. 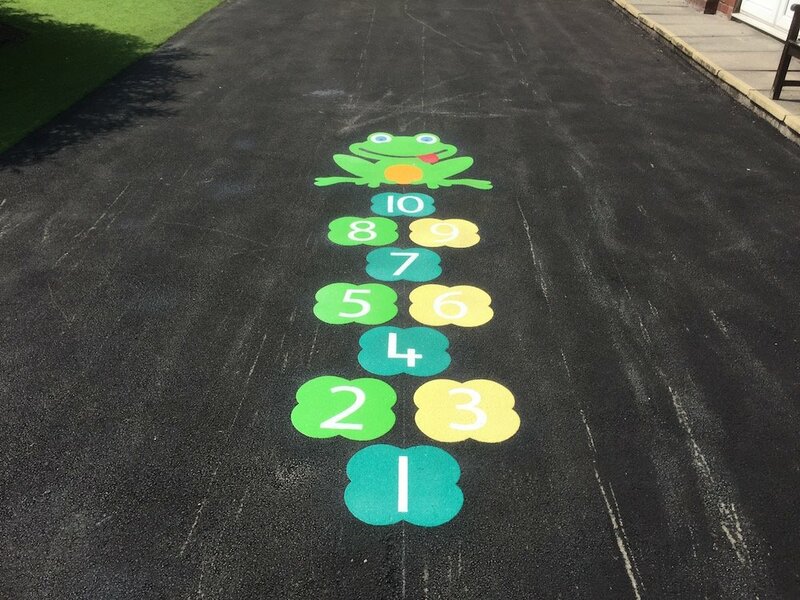 We can install in any colour including white, blue, yellow, red, green orange and purple. 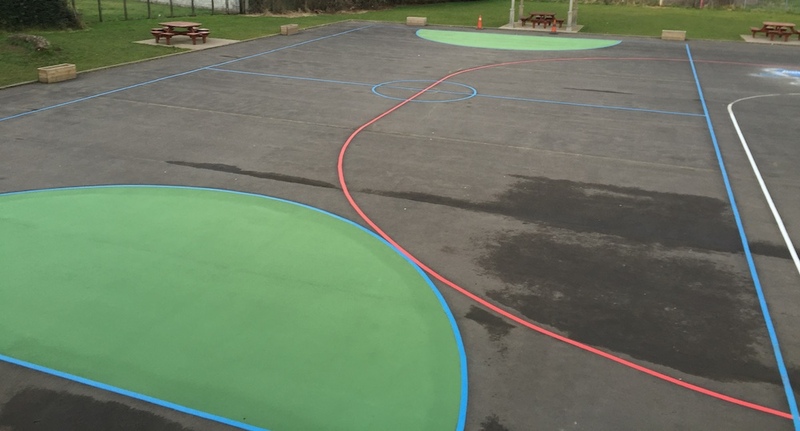 Many schools have limited space and wish to have both football and netball playground sorts pitched. 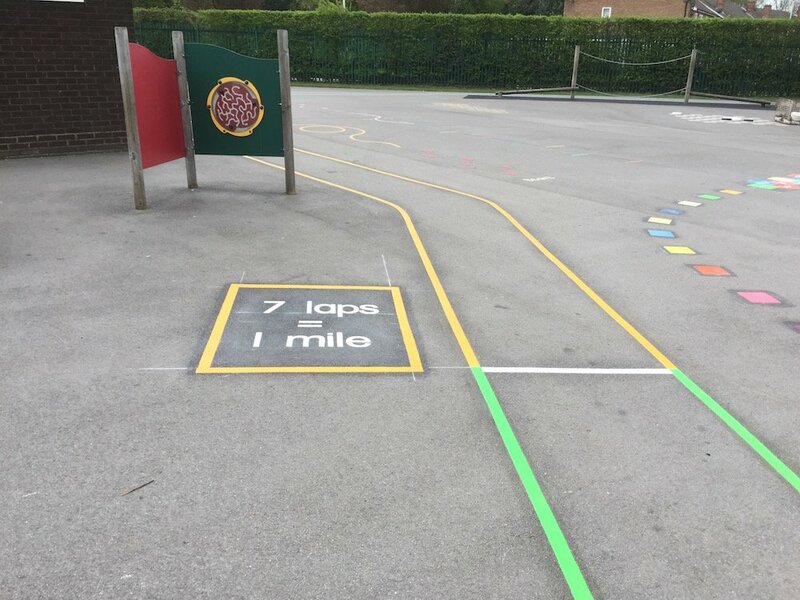 Our multi-court sports markings offer a range of sports pitched including football, netball and basketball. 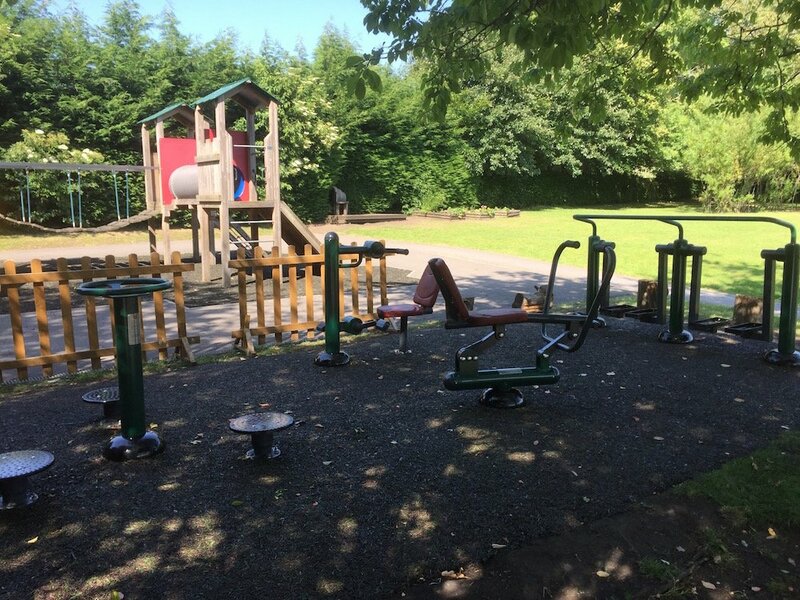 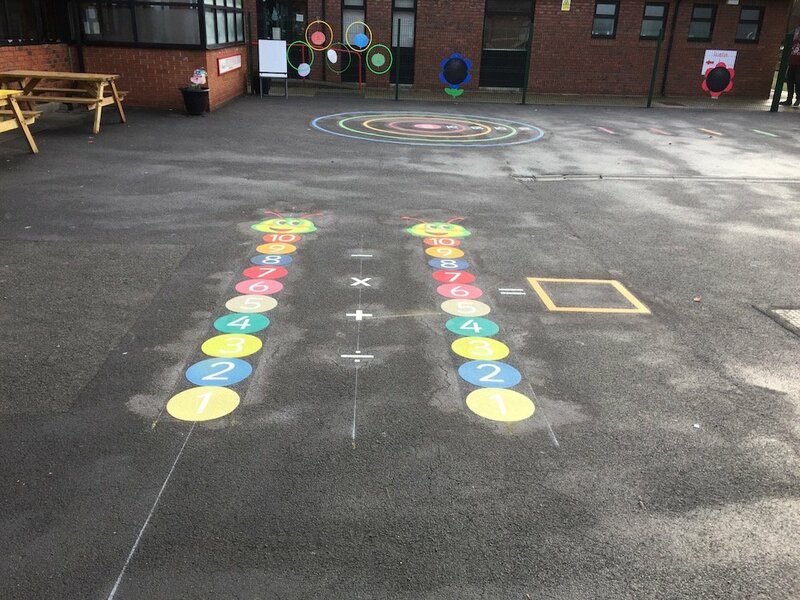 Some school want to utilise all areas of the school playground and can save money by combining natural boundaries and thermoplastic playground markings to create a range of bespoke courts and pitches. 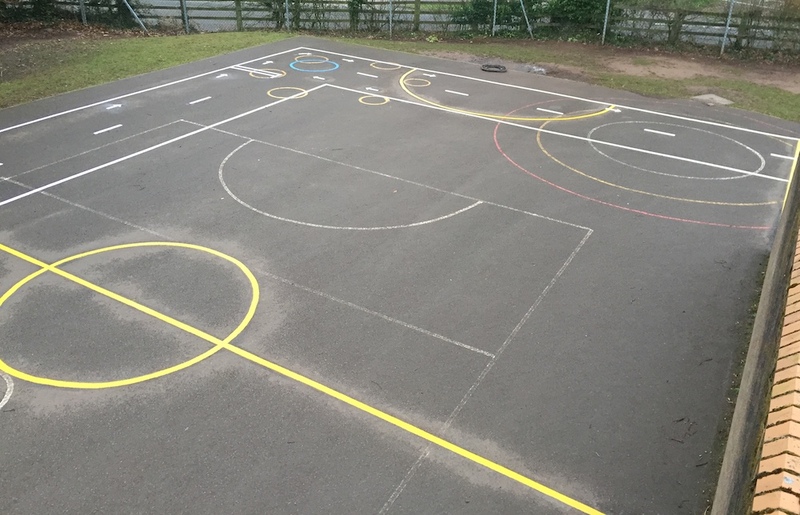 This school in Wales used a combination of a brick wall and the cycling proficiency track to create a mini football pitch at very little expense. 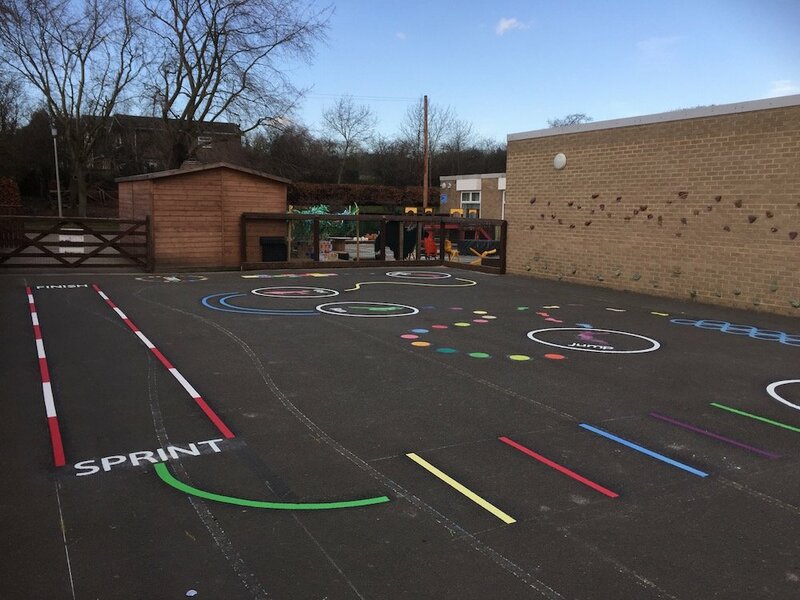 The goal areas can also be painted with specialist playground paint to create a colourful addition to the traditional football pitch.